I got a call this morning from a friend based in Dubai. She was confirming how to prepare a chilled mango cake as she was reading that moment the recipe that I blogged last year. I reiterated that the type of mangoes she will use would be vital. 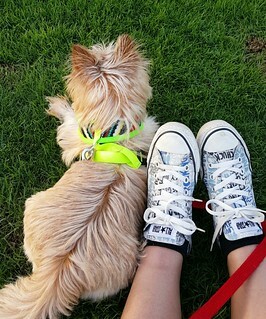 The last time I did one was when I gave it as birthday gift to another friend. That was more than 7 months ago and what hinders me to prepare that again since I got here is the absence of ripe mangoes according to my specification. If only I could find one as neat and reasonably sweet as Philippine mangoes. As I went to my favorite hypermarket this afternoon to do my groceries (fridays and saturdays as our weekend), I chanced on this sort of Mangoes Festival which started on May 21 and will run until the end of this month. I had high hopes that finally I was going to meet the ideal mangoes for my recipe. After all, there are at least 100 varieties of mangoes I can choose from. The most expensive varieties came from Ivory Coast, Bazil and Costa Rica. I was amused and surprised at the same time as it felt like being in a science class. Listed were the countries and the name (variety) of the mangoes in each shelf, minus the scientific names and it could have exactly felt like a Botany class in my highschool. Interesting, isn’t it? What surprised me was knowing that some mangoes actually never looked like ones and some varieties’ names don’t fit them. It was like naming someone “Lovely” where as matter of fact she is not. It was also surprising (or maybe I was sort of a little disoriented and failed to realize that it has the oldest civilization) that India has the most number of variety of mangoes. In the Philippines, the indian mangoes that I remember are those from the trees of our neighbor which we used to claim as ours (and “stole” when there was a chance when I was still a kid) since its branches have been trespassing our roof. Those green little mangoes which are not sour enough. Sooner our neighbor cut the “trespassers-branches”. 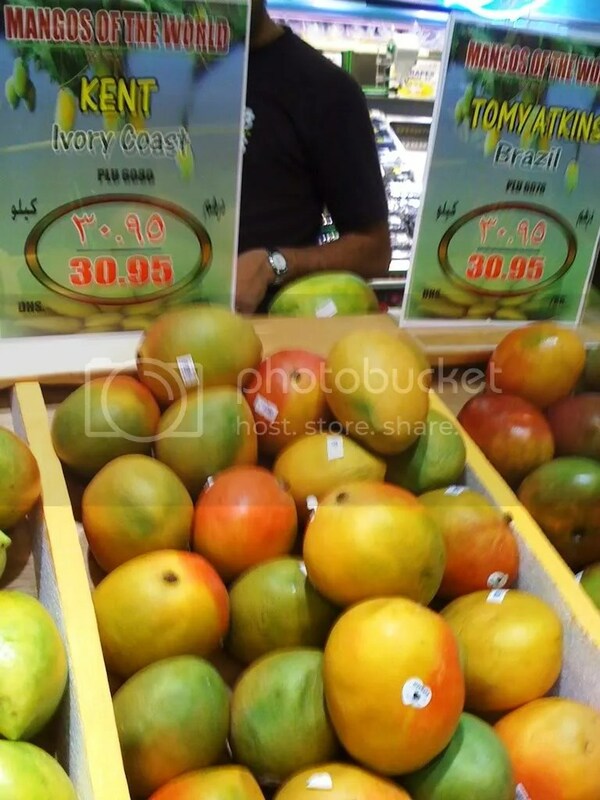 But today at the hypermarket, the indian mangoes ala Filipino did not exist. There are too many though and prices significantly differed for each variety. It would be interesting and challenging to taste all but that would be costly and tummy-troubler if I will decide to get stubborn to satisfy my curiousity. After more than an hour of peeking, it was frustrating not to find any mangoes from the Philippines. I am wondering why. 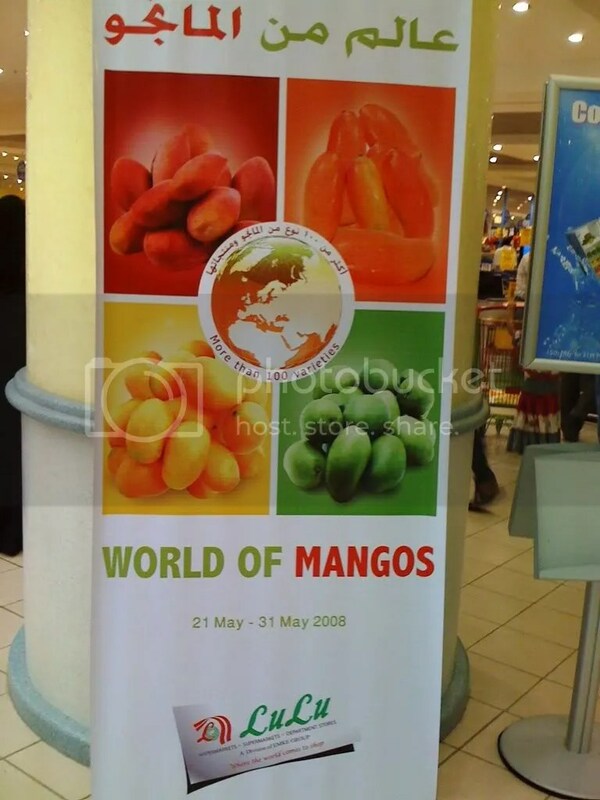 The only Southeast Asian mangoes in this “gathering” are those from Thailand. These Pimsan mangoes looked like manggang kalabaw (hmm, mouthwatering)! Hardly anyone did pick this. But to satisfy my curiousity, I bought two. The first one I picked because that is the biggest mango I saw in the festival. While the other one looks like a hybrid of achesa and apple is the most expensive, almost half the price of the biggest piece. 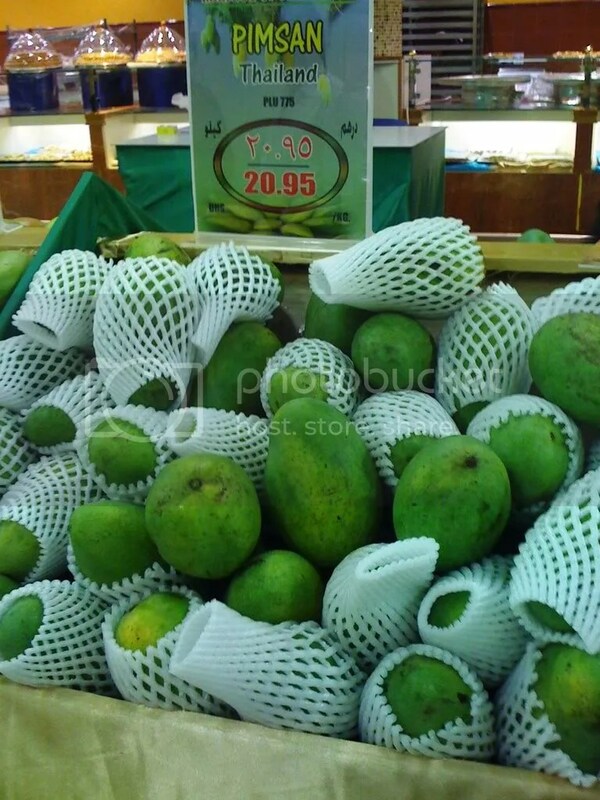 (Rajapuri Mango (India), PhP69/kg and Kent Mango (Ivory Coast), PhP356/kg). And it took me another 15 minutes to look for a bagoong (shrimp paste). Luckily I got one. ← What (How) to advertise in times of rice crisis? hahaha! i was just scouring the shelves of the local supermarket for mangoes today. nada. its just so sad because all the mangoes we get here are from the philippines (and thailand – though i think the ones from back home are much better. hehehe) but the prices are exhorbitant! Philippine Mangoes are the best. Lucky you that you have those mangoes there! [minus the skyrocketing price :)] Btw, you’re from where?